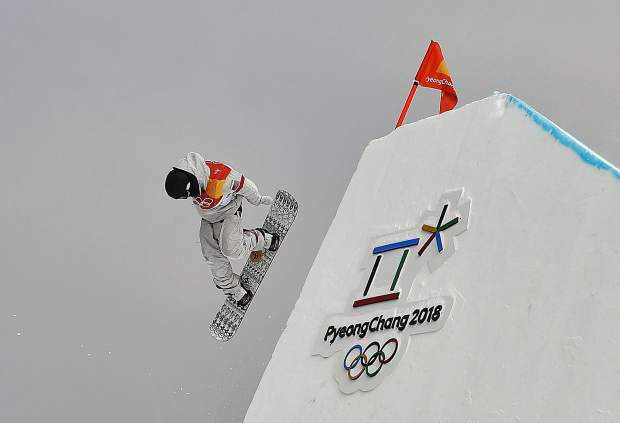 Red Gerard, of the United States, runs the course during the men's slopestyle final at Phoenix Snow Park at the 2018 Winter Olympics in Pyeongchang, South Korea, Sunday, Feb. 11, 2018. 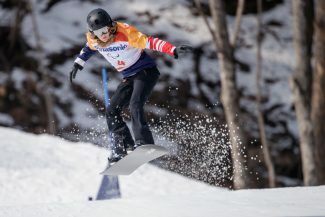 Why: Because Red Gerard will make his first appearance in competition since he became a household Olympic name with his slopestyle gold medal victory earlier in the games. 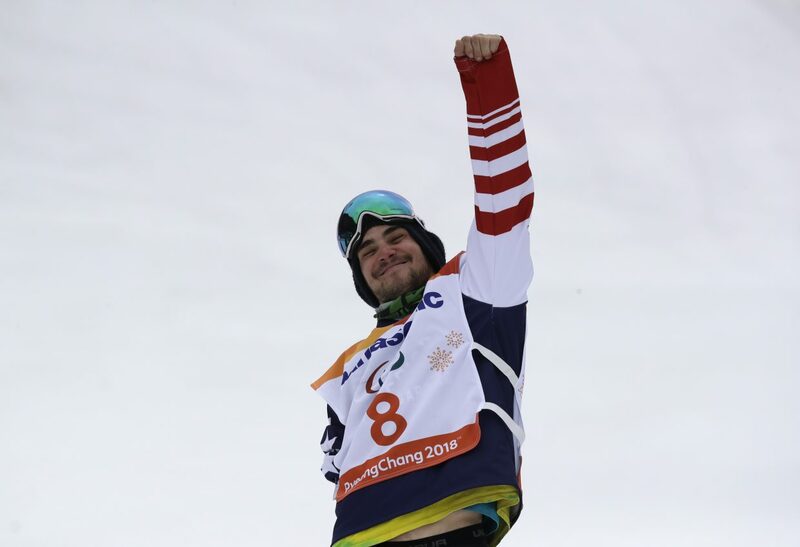 And because, after they both failed to qualify for the men’s snowboard slopestyle final, Gerard’s fellow Silverthorne snowboarders Chris Corning and Kyle Mack are hungry to prove they belong in the debut Olympic big air final with the world’s best. The Summit County trio of Gerard, Corning and Mack will be joined by Alaska’s Ryan Stassel during the two-heat qualifier. 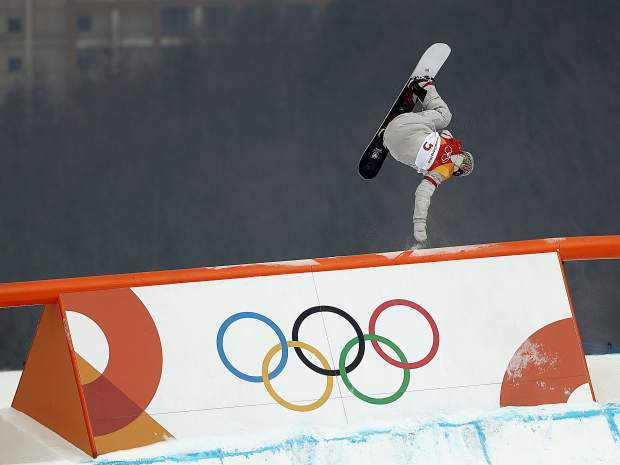 All four have the talent to make it to the final, but, just like slopestyle, it won’t be easy. After they took silver and bronze respectively in Olympic slopestyle last week, Canada’s Max Parrot and Mark McMorris will have their eyes on gold. And after his gold medal in slopestyle at last month’s X Games, it wouldn’t be wise to discount Norwegian Marcus Kleveland as a favorite to medal in Pyeongchang. Why: Because even though Mikaela Shiffrin pulled herself out of the downhill race at the 11th hour in order to not compete on back-to-back days, Team USA still has a favorite for a medal in veteran Lindsey Vonn. And for Vonn — the gold medalist in the 2010 Vancouver Olympics downhill event — this week’s downhill and alpine combined events may be the final Olympic competitions of her decorated career. Vonn finished with the best time in the downhill training Sunday and was the third-fastest racer in the training on Monday. The U.S. 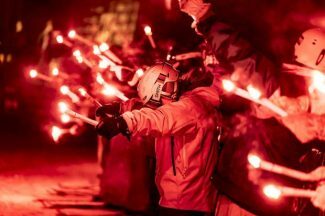 Ski Team will officially anounce its four entries in the women’s downhill event following the final training run on Monday night at 7 p.m. MST. Vonn and Alice McKennis, who placed ninth in training, are expected to be two of the entrants. Other Americans include Breezy Johnson, Laurenne Ross, Alice Merryweather and Stacey Cook. Why: Because even though there isn’t a single American slated to compete in men’s ski cross, there’s a Colorado flavor to the Canadian team. Canada’s Chris Del Bosco, a five-time X Games ski cross medalist, is a medal contender who was raised in Vail and is a former member of the U.S. Ski Team. Skiing for Canada in South Korea, Del Bosco is aiming for Canada’s first men’s Olympic medal in ski cross after the event made its debut at the 2010 Olympics. 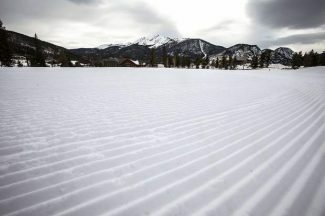 The totality of the Olympic men’s ski cross competition will take place on Wednesday in South Korea — Tuesday here in Colorado — from the seeding round in the morming to the medal round in the afternoon. 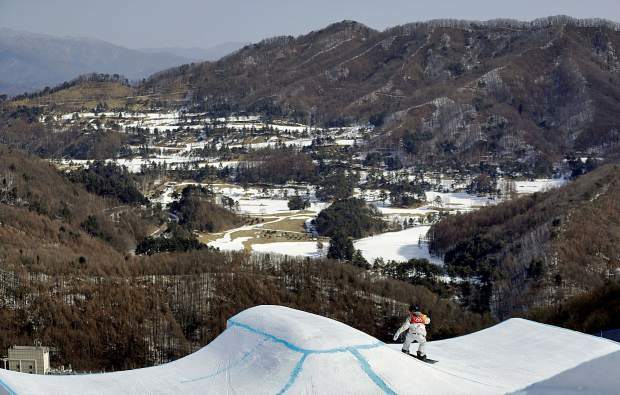 The race consists of six skiers zigging and zagging down a steep and narrow track of jumps and berms.